To shop a Budgie product, you are now directed to KICKS. Please choose your location. A unique dry cleansing foam that dissolves when applied, adding soft volume & body. 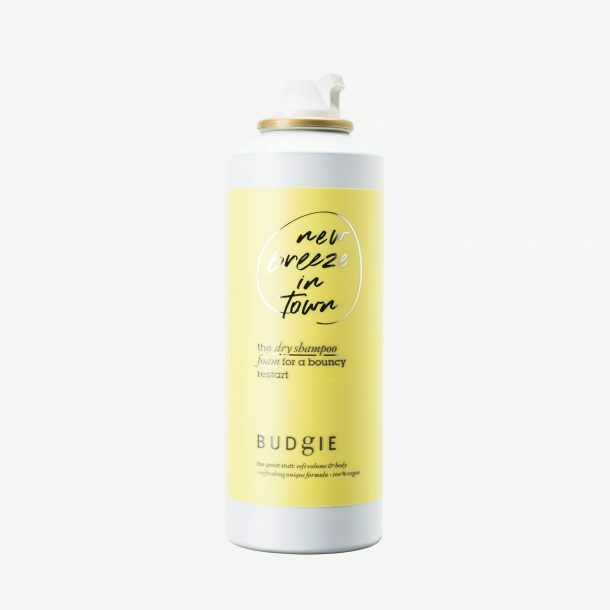 This dry shampoo absorbs oil & impurities leaving no residue. Scent of Truly Peach. 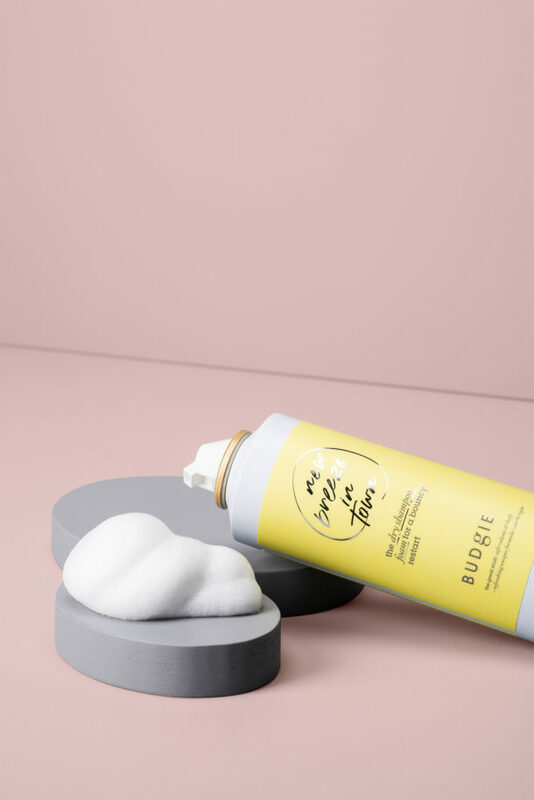 Everyday care & styling for all hair types. 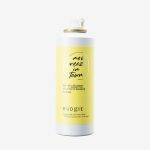 Dispense foam into your palm & apply in dry hair from scalp to the roots. Massage through & work it down to the ends, let dry. This foaming sensation allows a more precise application. This new kid on the block is here to stay! Aqua, Alcohol Denat, Oryza Sativa (Rice) Starch, Butane, Isobutane, Distarch Phosphate, Polyquaternium-4, Ceteareth-60 Myristyl Glycol, Coco-Betaine, Soytrimonium Chloride, Magnesium Stearate, PEG-12 Dimethicone, Propylene Glycol, Tocopheryl Acetate, Cetrimonium Chloride, Propane, Parfum, Sodium Benzoate, Citric Acid, Limonene, Benzyl Salicylate, Linalool, Citronellol, Coumarin. Available in all KICKS stores in Sweden & Finland. KICKS online in Sweden, Norway & Finland.